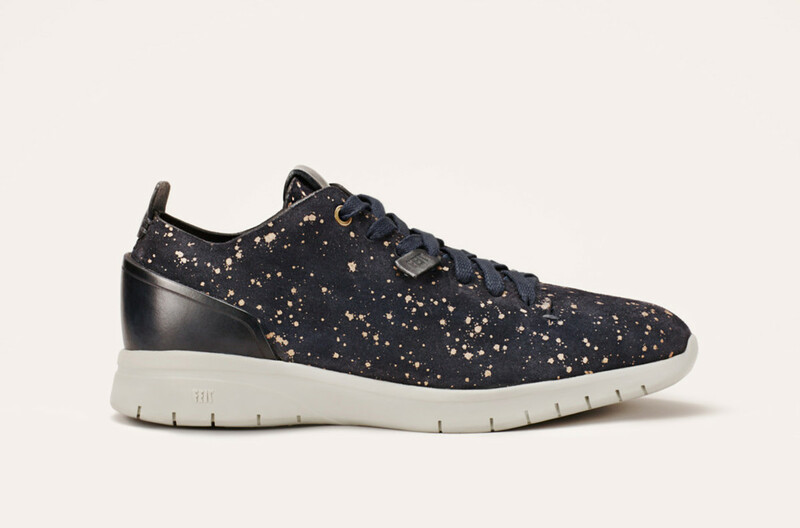 One of the finest sneakers available, FEIT updates its Biotrainer sneaker with a new "Galaxy" style. 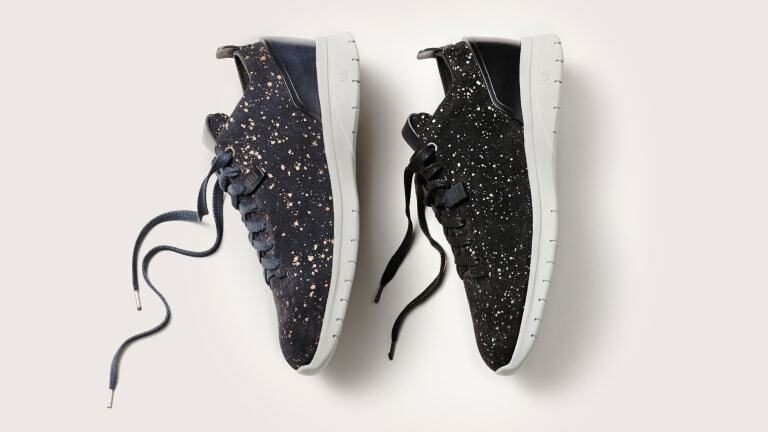 Sold out in two days earlier this Spring, the shoe is back this winter with suede uppers in black or navy with silver or gold flake resembling a glistening star field. This limited edition run (60 pairs) features the same careful construction that made the Biotrainer such an impressive piece of footwear. The shoes features printed vegetable suede uppers, each cut from a single piece and each are crafted by a single master craftsman. 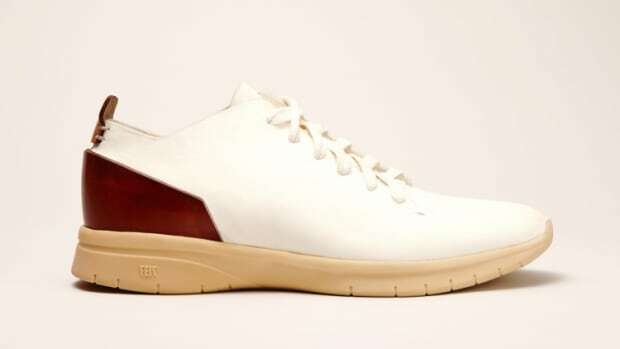 The sole is also made from natural latex rubber from the milk of the rubber tree which is harvested by hand and poured in steel molds. 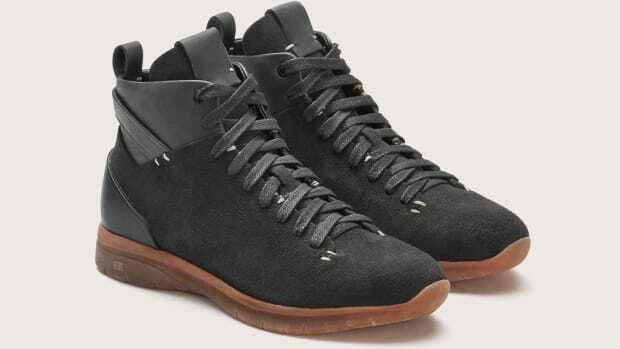 A luxurious take on their innovative sneaker. 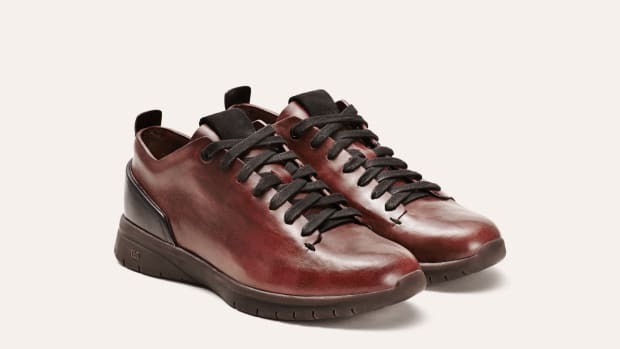 A luxury sneaker like no other.